Battersea is an area of the London Borough of Wandsworth, England. It is an inner-city district on the south side of the River Thames. Battersea covers quite a wide area - it spans from Fairfield in the west to Queenstown in the east. Battersea is mentioned in Anglo-Saxon times as Badrices ieg = Badric's Island. 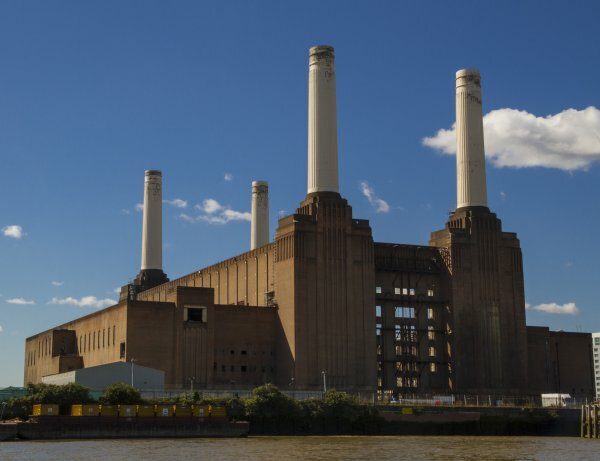 Although in modern times it is known mostly for its wealth, Battersea remains characterised by economic inequality, with council estates being surrounded by more prosperous areas. Battersea was an island settlement established in the river delta of the Falconbrook; a river that rises in Tooting Bec Common and flowed through south London to the River Thames. As with many former Thames island settlements, Battersea was reclaimed by draining marshland and building culverts for streams. 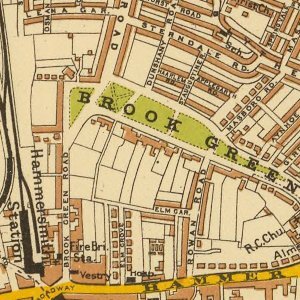 Before the Industrial Revolution, much of the area was farmland, providing food for the City of London and surrounding population centres; and with particular specialisms, such as growing lavender on Lavender Hill, asparagus (sold as 'Battersea Bundles') or pig breeding on Pig Hill (later the site of the Shaftesbury Park Estate). 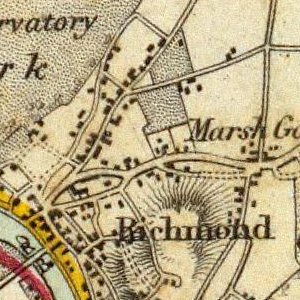 At the end of the 18th century, above 300 acres of land in the parish of Battersea were occupied by some 20 market gardeners, who rented from five to near 60 acres each. 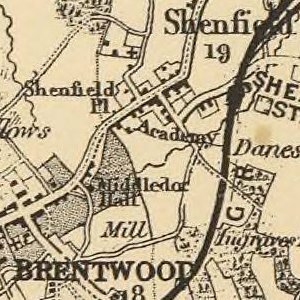 Villages in the wider area - Battersea, Wandsworth, Earlsfield (hamlet of Garratt), Tooting, Balham - were isolated one from another; and throughout the second half of the second millennium, the wealthy built their country retreats in Battersea and neighbouring areas. Industry developed eastwards along the bank of the Thames during the industrial revolution from 1750s onwards; the Thames provided water for transport, for steam engines and for water-intensive industrial processes. Bridges erected across the Thames encouraged growth; Battersea Bridge was built in 1771. Inland from the river, the rural agricultural community persisted. Battersea was radically altered by the coming of railways. The London and Southampton Railway Company was the first to drive a railway line from east to west through Battersea, in 1838, terminating at Nine Elms at the north west tip of the area. 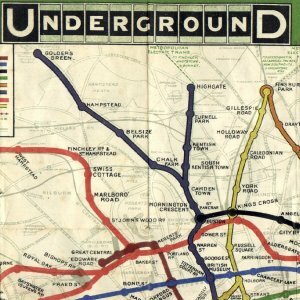 Over the next 22 years five other lines were built, across which all trains from Waterloo Station and Victoria Station ran. An interchange station was built in 1863 towards the north west of the area, at a junction of the railway. Taking the name of a fashionable village a mile and more away, the station was named Clapham Junction. 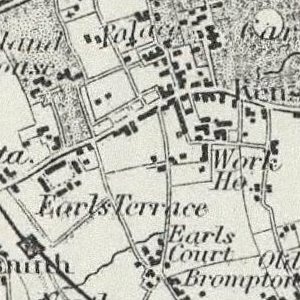 During the latter decades of the nineteenth century Battersea had developed into a major town railway centre with two locomotive works at Nine Elms and Longhedge and three important motive power depots (Nine Elms, Stewarts Lane and Battersea) all situated within a relatively small area in the north of the district. 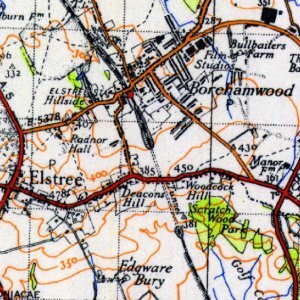 A population of 6000 people in 1840 was increased to 168 000 by 1910; and save for the green spaces of Battersea Park, Clapham Common, Wandsworth Common and some smaller isolated pockets, all other farmland was built over, with, from north to south, industrial buildings and vast railway sheds and sidings (much of which remain), slum housing for workers, especially north of the main east–west railway, and gradually more genteel residential terraced housing further south. 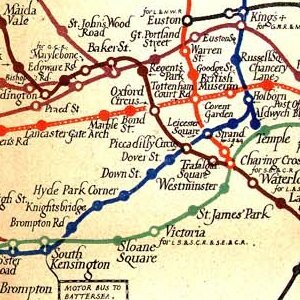 The railway station encouraged local government to site its buildings - the town hall, library, police station, court and post office in the area surrounding Clapham Junction. All this building around the station marginalised Battersea High Street (the main street of the original village) into no more than an extension of Falcon Road.